As the coming school year approaches, all of us parents are going over school supply lists and getting ready for the end of summer vacation and the beginning of the 2018/2019 school year. Crayola has always been the favorite brand of school supplies in my house and even when I was growing up. I know my children and now my grand children feel the same way. 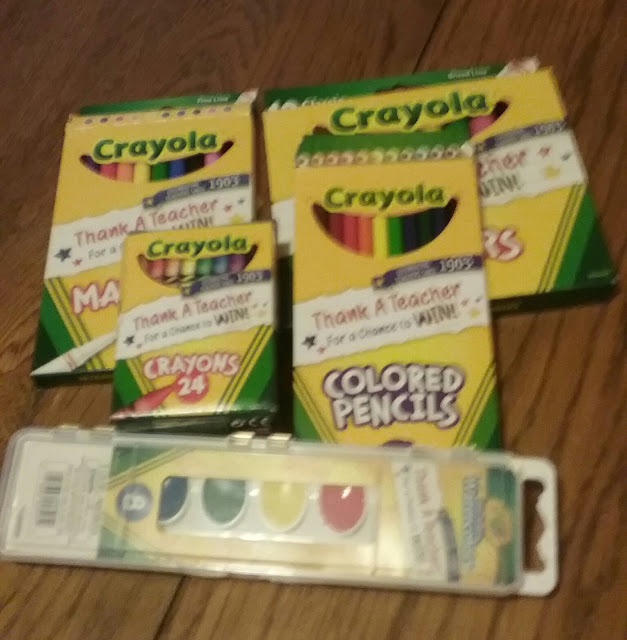 Crayola quality is unbeaten, I have to admit I have tried to get by with store brands a few times and always end up going back to the store to buy Crayola. Crayola has a Thank A Teacher Campaign going on . It's open now til August 25,2018. 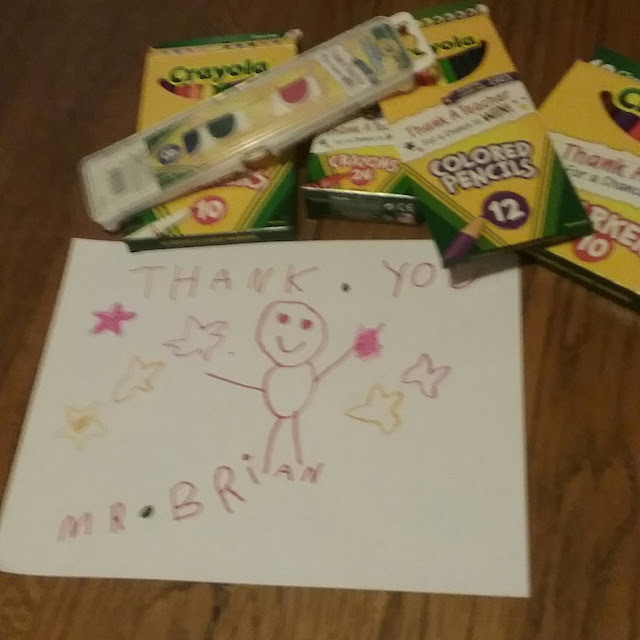 Entry is easy, create a thank you card for a special teacher in your world and upload it to www.Crayola.com/ThankATeacher for a chance to win a grand prize for family, teacher, and school.